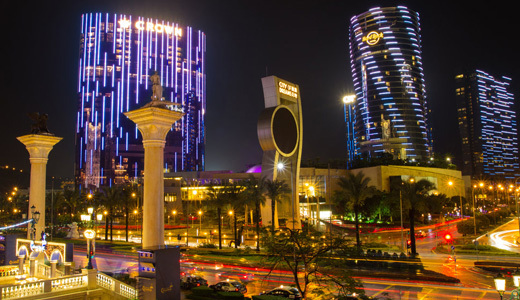 Macau is a popular destination in Asia that has been renowned as Asia’s well-known gambling Mecca. Here, tourists are able to experience traditional Chinese culture while enjoying the exotic Portuguese buildings. It has a unique combination of crumbling fortresses with glitzy casinos, baroque churches with cobbled backstreets, and so much more. The city’s exotic history and intriguing culture, which is evident in every corner, is much anticipated by tourists visiting Macau. It’s world class tourism has been attracting several tourists looking for a holiday with over 22 historic buildings that has been included in the World Heritage List. 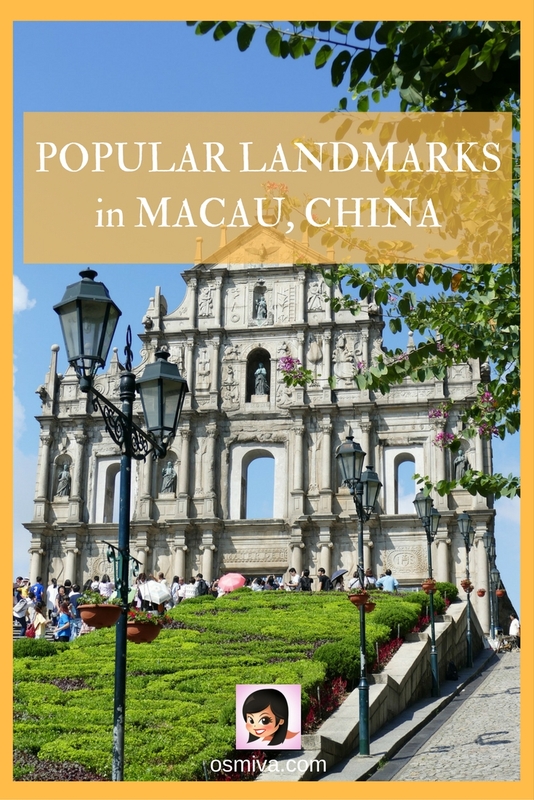 If you are anticipating a trip to this infamous city, come and check out this Popular Landmarks in Macau, China and see for yourself the wonders that you may also visit once you visit the city. Enjoy!!! 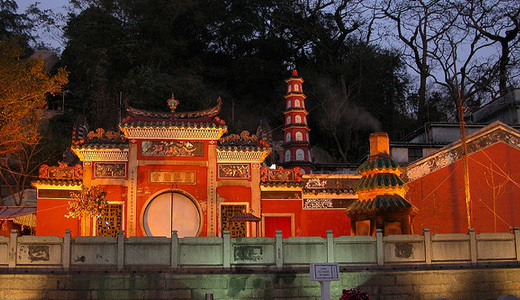 The A Ma Temple is considered to be one of the oldest temple in Macau. Constructed in the year of 1488 during the Ming Dynasty, it commemorates Mazu, the sacred sea goddess who blesses the fishermen. A unique integrated resort combining electrifying entertainment, the City of Dreams offers a wide array of accommodation, regional and international dining, designer-brand shopping and so much more. One of the popular attractions in the resort is the House of Dancing Water which is the world’s largest water-based show and the Dragon’s Treasure, a spectacular multimedia attraction. Regarded as the First Western Fortress in China, the Fortaleza do Monte is a fort occupying a hilltop on the peninsula of Macau. 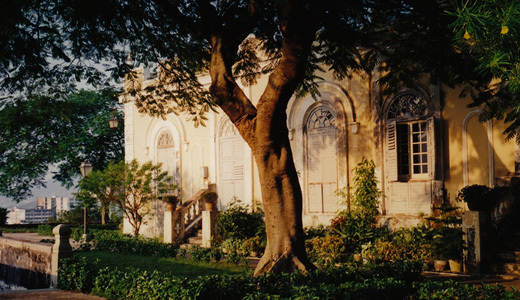 It features a public park, an observatory and the Macau Museum. 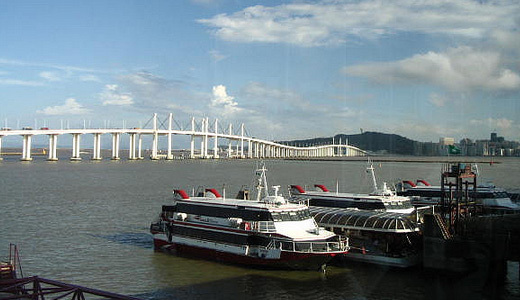 A four-lane, two-way bridge in Macau that connects Macau Peninsula near the Reservatório and Taipa Island at Pac On, the Friendship Bridge started construction on June 1990. 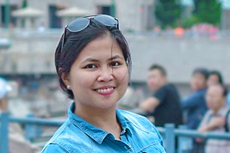 The bridge is the longest of the three bridges connecting Macau Peninsula and Taipa, with a length of 4.7 kilometers (2.9 mi), including 800 meters (2,625 ft) of connecting viaduct, and a width of 18 meters. 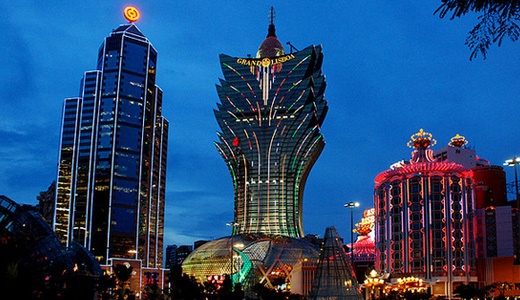 The Grand Lisboa Hotel is a well-known landmark of Macau with its 58-floor, 261-meter-tall (856 ft) structure. It is the tallest building in Macau and the 118th Tallest Building in the World (by architectural structure). The hotel’s unique structure makes it a must-see landmark in the city. Built between 1622 and 1638, the Guia Fortress houses the Guia Chapel with its elaborate frescoes depict representations of both western and Chinese themes. 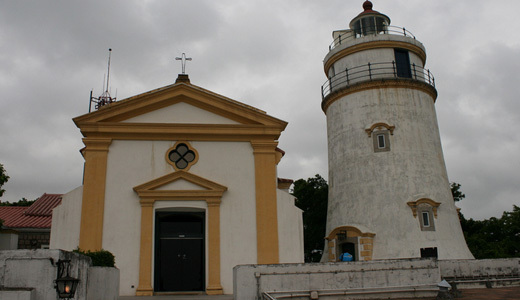 The Lighthouse was the first modern lighthouse on the Chinese coast. 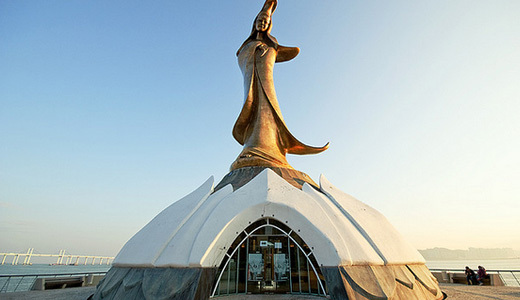 The Kun Iam Statue is a 20m-high bronze figure, emerging Virgin Mary–like from a 7m-high lotus in the outer harbor. It is known for probably being the only statue in the world of the goddess of mercy that is not facing the sea. 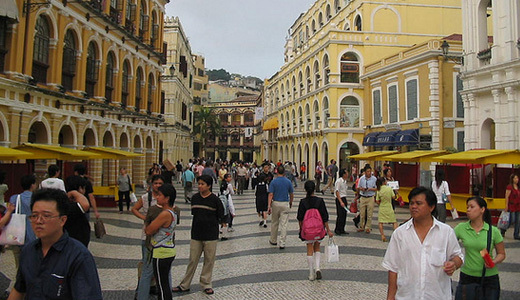 A public square in Macau, the Largo do Senado covers an area of 3,700 square meters (4,425 square yards). The square is inscribed on UNESCO’s World Heritage List and has been a popular attraction to tourists and locals. Here, the St. Domingo’s Church, Ruínas de S. Paulo (Ruins of St. Paul) and the Museu de Macau (Macau Museum) can be accessed, among others. The ruins Ruínas de S. Paulo is a 16th-century complex in Macau including of what was originally St. Paul’s College and the Cathedral of St. Paul also known as “Mater Dei”. 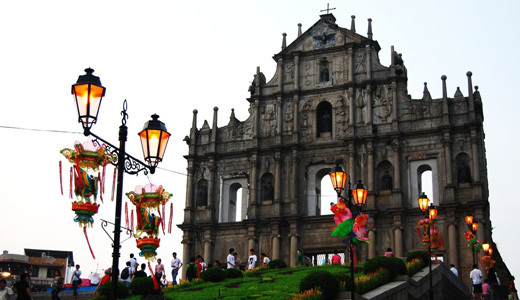 It is one of Macau’s most famous landmarks and is officially listed as part of the UNESCO World Heritage Site Historic Center of Macau. The ruins consist of the southern stone facade and the crypts of the Jesuits who established and maintained the Cathedral. Another popular city to visit in China, check out these Shanghai’s attractions!! !